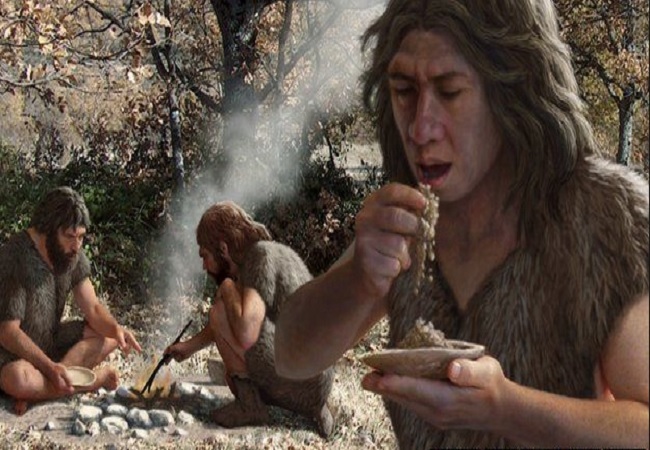 Early humans may have started cooking their food at some point between 800,000 and 1.2 million years ago, according to scientists who have found the earliest evidence of raw food eaten by our prehistoric ancestors. Archaeologists extracted microfossils from dental plaque dating back to 1.2 million years. The earliest definitive evidence in Europe for use of fire is 800,000 years ago at the Spanish site of Cueva Negra and at Gesher Benot Ya’aqov in Israel, a short time later. “Obtaining evidence for any aspect of hominin life at this extremely early date is very challenging,” said Karen Hardy, from the University of York in the UK. “Here, we have been able to demonstrate that these earliest Europeans understood and exploited their forested environment to obtain a balanced diet 1.2 million years ago, by eating a range of different foods and combining starchy plant food with meat,” said Hardy. “This new timeline has significant implications in helping us to understand this period of human evolution – cooked food provides greater energy, and cooking may be linked to the rapid increases in brain size that occurred from 800,000 years ago onwards,” he said. “It also correlates well with previous research hypothesising that the timing of cooking is linked to the development of salivary amylase, needed to process cooked starchy food,” Hardy added. “Starchy food was an essential element in facilitating brain development, and contrary to popular belief about the ‘Paleodiet’, the role of starchy food in the Palaeolithic diet was significant,” he said. “These results are very exciting, as they highlight the potential of dental calculus to store environmental and dietary information from deep in the human evolutionary past,” said Anita Radini, PhD student at the University of York. “It is also interesting to see that pollen remains are preserved often in better conditions than in the soil of the same age,” said Radini.